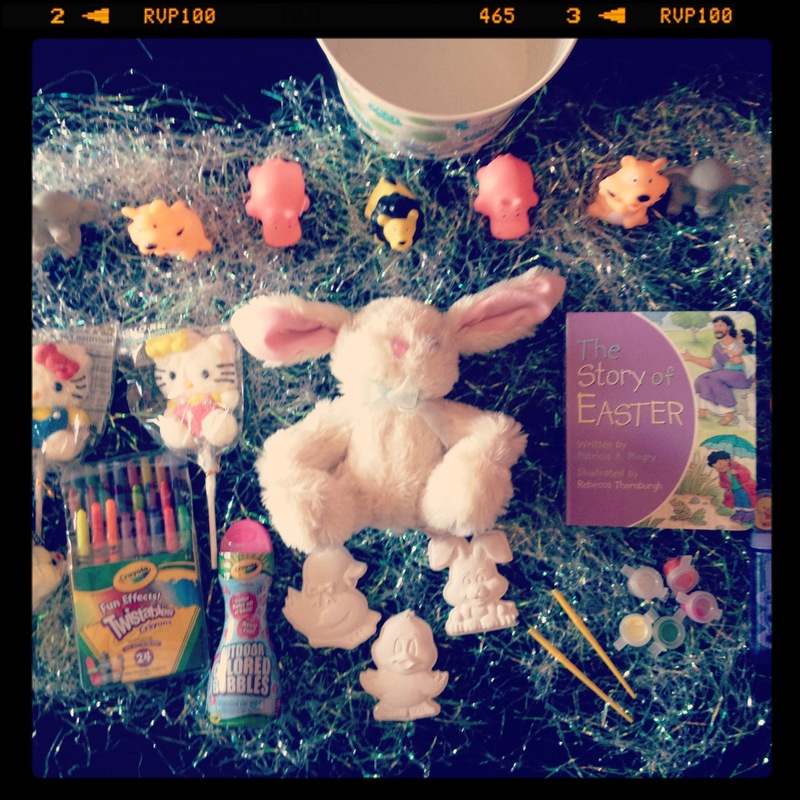 Encourage Creativity & Play with an Activity Filled Easter Basket - It's Gravy, Baby! I’m always up for a challenge and this one was so much fun. The challenge was to build an Easter basket for $30 or less and I could only shop at Kmart, which is cool, because I love our Kmart and they have rockin’ sales! To stretch my money, I checked out the Kmart circular online, shopped sales, and used my ShopYourWay rewards card. I also took advantage of a one day offer on the Kmart Facebook page and printed off a coupon for $5 off my purchase of #KmartEaster products. 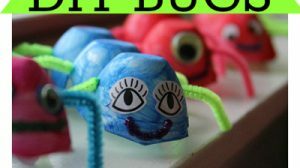 I knew that I didn’t want to fill the basket with candy, so I created a basket that encourages imagination, creativity, and play…. and a little bit of snacking too! For $30, I was able to buy everything listed above, Easter grass, AND the bucket. The best part is that this one basket contains items for both of my children to play and create with and the fun will last beyond Sunday. I don’t have anything against pre-made baskets, but I love being able to pick and choose exactly what goes in their baskets. 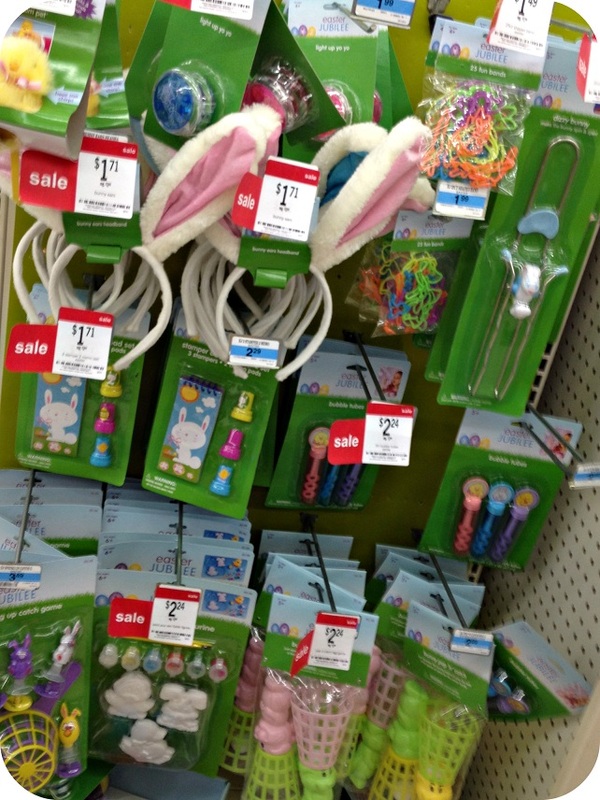 I was thrilled with the non-candy selection of Easter items at Kmart- it was hard not to buy one of everything! You can bet that I’ll be headed back after Easter to check out the clearance racks and hopefully find some leftover items. 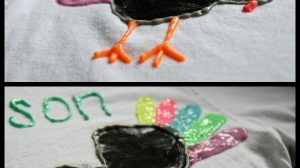 I have a secret though- I don’t like Easter “baskets.” I want something sturdy that can be used not just on Easter, but every day. 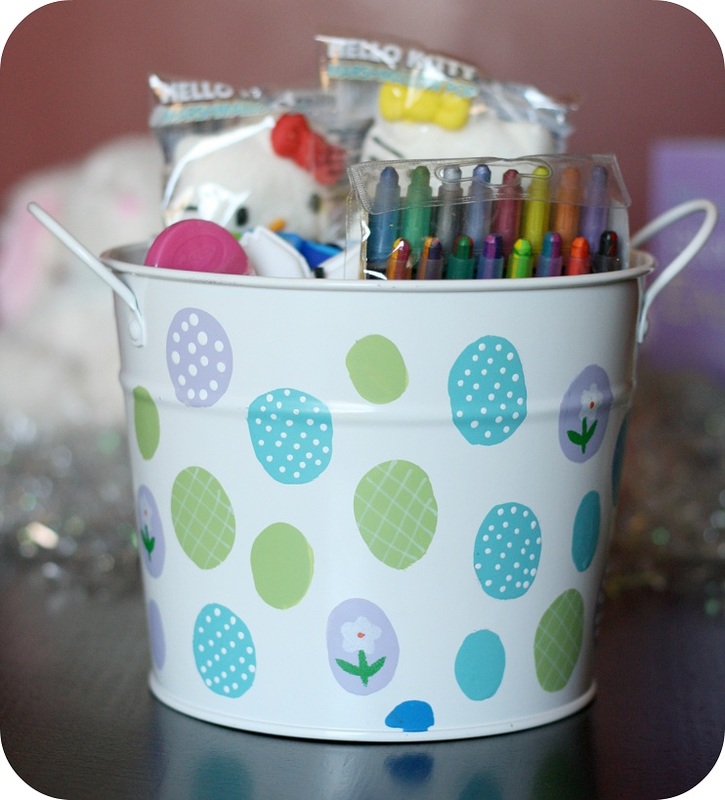 The cute bucket I purchased was only $3.99 on sale and I will be using it in Bella’s room for toy storage after Easter. I have a feeling Bryson will probably also use it as a hat- whatever works! Hello Kitty is my absolutely favorite character ever. I can spot Hello Kitty from across a store, just ask my hubby. (LOL) These super awesome Hello Kitty marshmallow pops were not with the Easter items, but on the regular candy aisle. I could NOT pass them up and bought one for each kid! I made a Google+ album featuring my full shopping trip and other things that caught my eye. 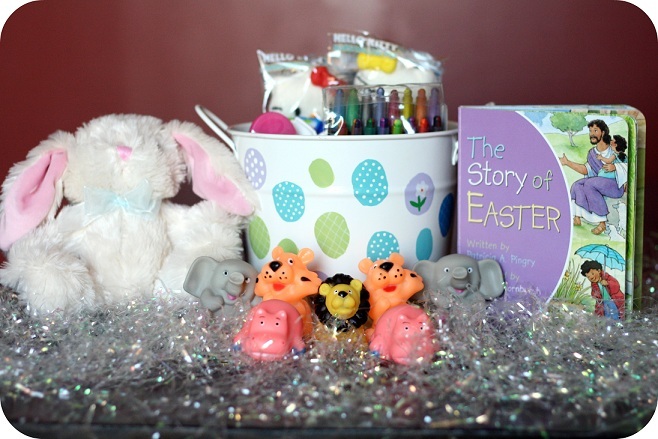 My most expensive item is the “Story of Easter” board book, but it was well worth $6.99 We have this same book for Christmas and I think it’s so, so important to read to your children and this book was great for the occasion. 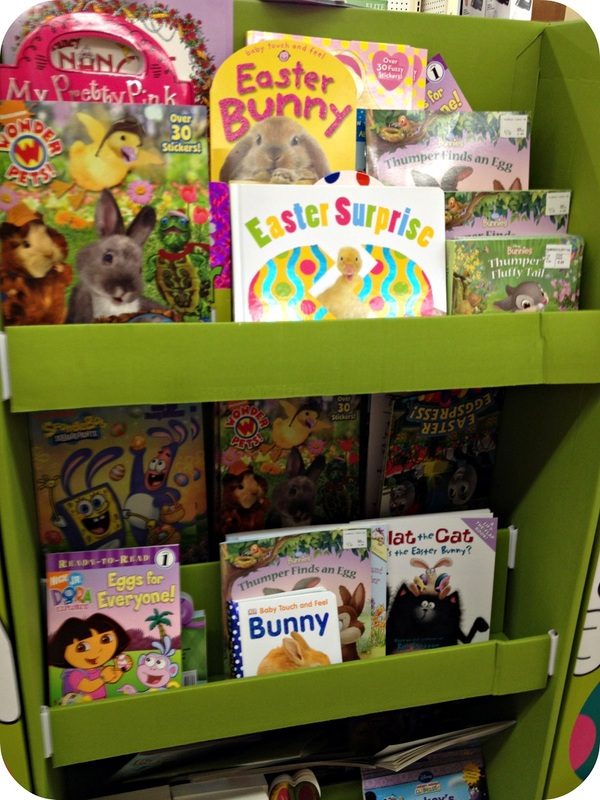 One thing that Kmart does that I absolutely adore is create a book display for each holiday. I noticed this at Halloween and since then, I check it out every time I visit the store. It isn’t small either- it’s four sides and all four are overflowing with books for the season! Bella helped me pick out several of the items. She spotted the plush bunny right off and held it the rest of our shopping trip. Bryson has no idea about any of it, so he’ll be surprised Easter morning! 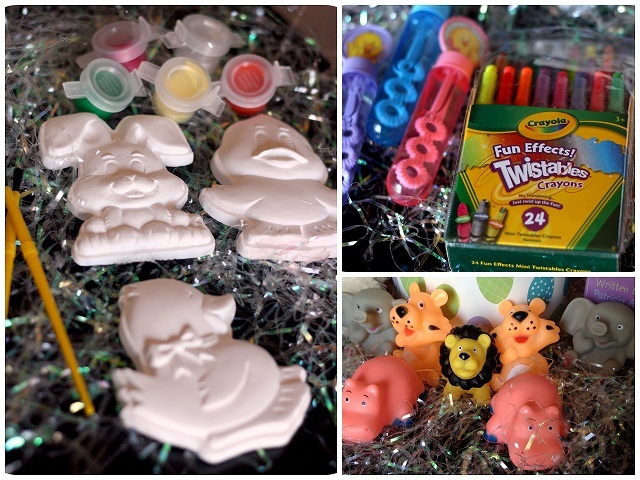 I can’t wait to see him light up and then to paint, color, and blow bubbles with him. The “Easter bunny” is certainly fun, but we don’t want to forget the real meaning of the season- Christ. I’m especially looking forward to it this year because we have a huge family dinner planned- my mom’s family, my dad’s family, AND my husband’s family are all going to get together! It’s been years since that has happened so I’m super excited to see everyone. I have everything prepared for this kids. We’ll have hubby’s family in town and the dinner on Sunday, not to mention yard work running out of our ears, so I’m going to be BUSY cooking, cleaning, and working over the next couple days. I wouldn’t have it any other way though! So what about you? Are you ready for Easter? Connect with Kmart on twitter and keep an eye our for deals by following the ShopYourWay Rewards twitter page too. This shop has been compensated as part of a social shopper insights study for Collective Bias. #CBias All thoughts and opinions remain my own, as always. Honesty is my ONLY policy. I love all of the creativity you are encouraging with your basket (bucket) items. This is awesome Whitney! I hope y’all had an awesome Easter with all of your family! The Easter baskets at our house always have books in them. Great Easter baskets! Your Easter basket is so cute!